The texture of the beach really stands out. 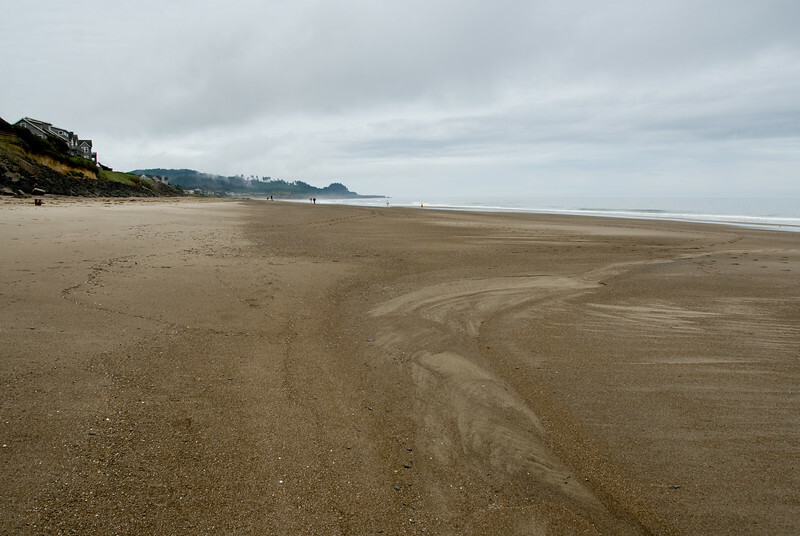 We are amazed at the size of the beach during negative low tide. I like this one because you can see the people so far away at the end of the beach.